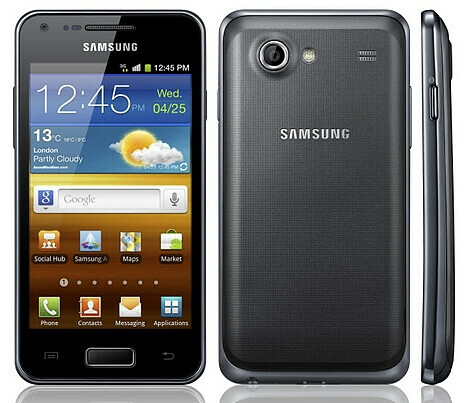 Earlier this year, we told you about Samsung's introduction of the Samsung Galaxy S Advance. The title is a bit of a misnomer considering the model's specs, which are a step backward from recently launched units. This smartphone is equipped with a 4 inch WVGA Super AMOLED display made of Gorilla Glass with a pixel density of 233ppi. A dual-core 1GHz processor is under the hood while 768MB of RAM is on board. The device is available with 8 or 16gb of native storage and a 5MP camera is on back capturing video in 720p at 30fps. There is also a 1.3MP front-facing camera for self-portraits and video chat. Android 2.3.6 is pre-installed. 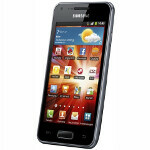 The Samsung Galaxy S Advance has just made a visit to the FCC with AT&T's 3G bands aboard (850/1900MHz). This doesn't mean that the phone will definitely be launched by the carrier. It means that if AT&T wants to, it could add the device to its lineup. In the meantime, the phone is officially coming to Germany sometime this month, as Samsung has released a statement with this news. The suggested retail price will be 494 EUR which translates into about $650 USD. That is just a price point suggested to retailers by Samsung and the actual price paid for the phone in Germany could be lower. This phone is too exepnsive. Look at the Sony Experia U. It sells for 250 EUR and matches this phone nearly spec for spec. But I love this phone. ROFL. I just love everything about it, except for that ratchet price-tag.